1. The proposed new use is NOT in conformance with and is a fundamental direction change from the existing Comprehensive Plan. Additionally, given that the County has entered into a public process, “Envision Loudoun,” to review and update its current Plan, the decision to approve the proposed rezoning would be premature and would be taken without proper consideration due such a significant use change. 2. Questions still remain regarding the protection of Goose Creek, a State Scenic River and an important source of clean drinking water for thousands of users in the Goose Creek and Potomac River watersheds. While we appreciate Low Impact Development practices have been proffered, there is no way to ensure that they will result in adequate, effective storm water management in an area immediately adjacent to a significant expanse of Goose Creek. Accidental chemical spillage, possible impact of flooding of Goose Creek onto the subject property, large expanses of asphalt and a 42% developed building site utilizing impervious surfaces generating significant water and pollutant run off, and the potential for a compromised riparian buffer zone may impact the integrity of Goose Creek and the acceptability of its waters as a public resource for consumption and recreation. 3. A globally rare Northern Piedmont Maffic Barren Rock Community has been identified by the Virginia Department of Conservation and Recreation on the northeast portion of the proposed site. It is unclear what, if any effort will be taken to protect this important area. 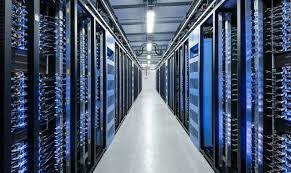 It is well known that Loudoun County benefits economically from the development and operation of data centers. The County has wisely zoned for such development in areas within the Suburban Policy Area that can and do appropriately provide both an acceptable commercial environment and adequate infrastructure to serve data centers. According to the Loudoun County Department of Economic Development, the Route 606 corridor has current approved zoning for 43 additional data center sites of varying size where several data centers are now located. These already zoned areas can reportedly accommodate millions more square feet of development. Rezoning in this particularly environmentally sensitive area of the TPA would send the wrong signal to residents in the TPA who have relied on the existing zoning, as well as prospective employers seeking locations in counties that choose to protect the environment. Surely, given the wealth of space available and already zoned today to accommodate the growth of data centers in Loudoun, it is unnecessary to invade areas planned for less intensive use and scale within other Policy Areas, including the Transition Policy Area. Thank you for your attention and we respectfully request that your vote to deny this rezoning application.